Want to Sell a Motorcycle? If you’re wondering what the best way to sell a motorcycle is, look no further! 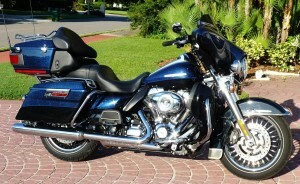 At Boats N Cars LLC, we have the buying power needed to purchase used motorcycles at top dollar. And, we offer the fast, friendly personalized service you deserve. Our professional motorcycle buyers are highly-trained and have spent years buying and selling used Harley Davidson motorcycles, BMW motorbikes, Triumphs, Honda Gold Wings, Indians and more, allowing us to offer fast, accurate quotes on the value of the used motorcycle you want to sell, all at no cost and without any obligation to you. Thousands of motorcycle riders have turned to us when they’ve made the decision to sell their used motorcycle, or trade one in for another model. Without exception, each of our customers is offered a fair and honest quote for their bike, and a swift and painless transaction when they decide to sell their used Harley or other make of pre-owned motorcycle. If you have a loan that needs to be paid off, we take care of it! Rest assured that we handle all the paperwork so you don’t have to. 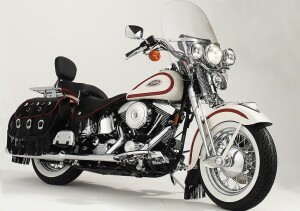 We make selling a Harley Davidson motorcycle easy. Local newspapers and Craigslist – Don’t count on local newspapers or Craigslist if you want full value of your motorcycle. Newspaper readership is down significantly and classified ads are cost prohibitive for an independent seller. You may get a qualified buyer from Craigslist, but the number of tire-kickers, scammers and unqualified shoppers will waster more of your time and energy than it’s worth. eBay – While the thought of selling your Harley Davidson on eBay may sound easy, it is actually time consuming, complex and costly to sellers. And, unless you have a long history of success selling items on eBay, trust our licensed motorcycle buyers to handle your sale. Be realistic – The sentimental value and attachment to you Harley is understandable, but doesn’t equate to actual dollars. We know parting with your beloved Harley is difficult, but the best way to sell a motorcycle is to be realistic in its value and what you expect. Remember, just because you spent thousands of dollars in custom parts and accessories to make the Harley uniquely yours, others don’t share the same vision or excitement for your unique creation and will add or remove items to make it their own. And, just like investing money to add upgrades to a home, the full value of those upgrades are never fully realized at the sale. Upgrades, whether for your home or your Harley, are for the benefit of the current owner and only minimally increase the value of a resale. Gather original parts and documents – While aftermarket parts and accessories don’t generally add too much to the overall resale value of a Harley Davidson or other motorcycle, providing the original parts, accurate, up-to-date service records and original documents do add value. Be honest – Honesty in your description of the motorcycle is important. Has it been dropped, are there any engine, electrical or mechanical problems, etc., should all be disclosed. Choosing a bike from our inventory of pre-owned motorcycles can be a challenge; with so many to choose from, settling on one motorcycle isn’t always easy. From used Harley Davidsons to Triumphs and BMWs, we’ve got it all, and all at fair prices that you’ll love. Even if we don’t have the bike of your dreams in our showroom today, we’ll find it for you! Our motorcycle locator service spans the entire globe, allowing us to find the motorcycle you want, at a price you can feel comfortable with. Contact our motorcycle buyers today for a free quote and sell your Harley Davidson fast! We know that making the decision to sell your Harley Davidson motorcycle can be difficult. We also know that when you do choose to sell your motorcycle, you want to be treated fairly and with respect. We’ve built our business by offering fair prices, fast and honest transactions, and quality customer service to everyone we work with. We are proud to boast a 100% positive feedback on eBay, after more than 500 sales transactions. If you want to sell your motorcycle, trust Paul to handle all the details! Call 727-409-2628 or email us today.